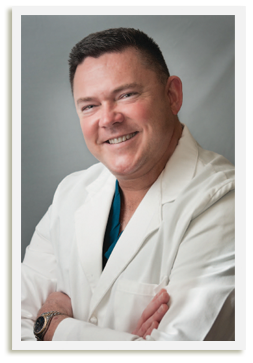 " I would like to introduce myself, I am Dr. E. Drew Moore, a native Texan, and the son of a periodontist. I have been interested in dentistry for many years. As a board certified periodontist, I want to help preserve a patient's oral health and support, as well as overall health. There are causal health links between periodontal health and cardiac health. There are also connections in the control of diabetes and periodontal health. The better a person controls his or her diabetes, the better gingival health he or she may achieve. The better a person's periodontal disease is controlled, the better for that patient's diabetes control. I want to save teeth and bone support for as many patients as there are who are willing to learn about periodontal disease and its role in tooth loss. When a tooth can no longer be maintained, I want to be able to preserve the area, from which the tooth was extracted and replace the tooth/teeth with dental implants. This option will keep a person's oral support for many years and will keep the patient from losing some chewing capacity and from looking older, due to loss of bone and over-closing. When people lose teeth, it is very frustrating and I am able to lessen that frustration, by helping to restore function. I work in tandem with Dr. Milenbaugh to help the patient reach these goals and to live with better oral health. I look forward to getting to know you as a patient."